Eau de Vie! Water of Life! Eau de Vie is a traditional digestif in France. 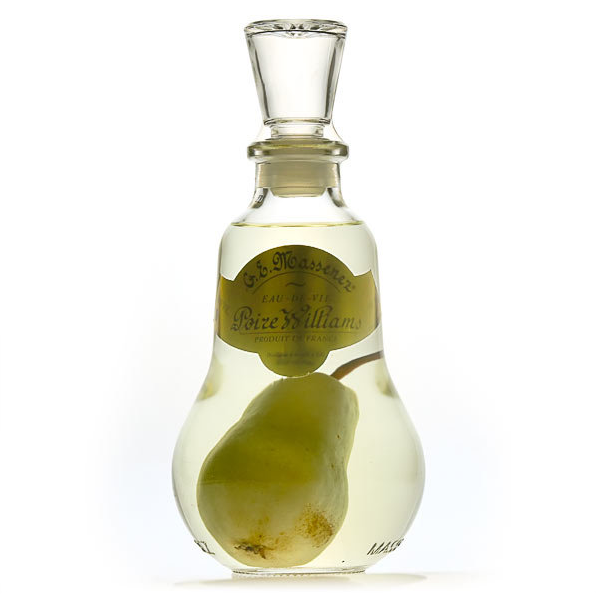 Whilst there are similar drinks internationally, the Eau de Vie double distilled in France is second to none and if you have ever tried Poire, made from Williams Pears, you will know just how potent and distinctive it is! Eau de Vie is generally made from any fruit other than grapes, for example apple and plum or peach and is not aged in a wooden cask hence it’s clear nature. This is most common to Alpine areas and you will also find the dying tradition of local distillers still alive in these rural areas! In our opinion a good Eau de Vie is great for helping to digest a heavy meal such as fondue or tartiflette! It’s definitely something you should try on your visit with us!